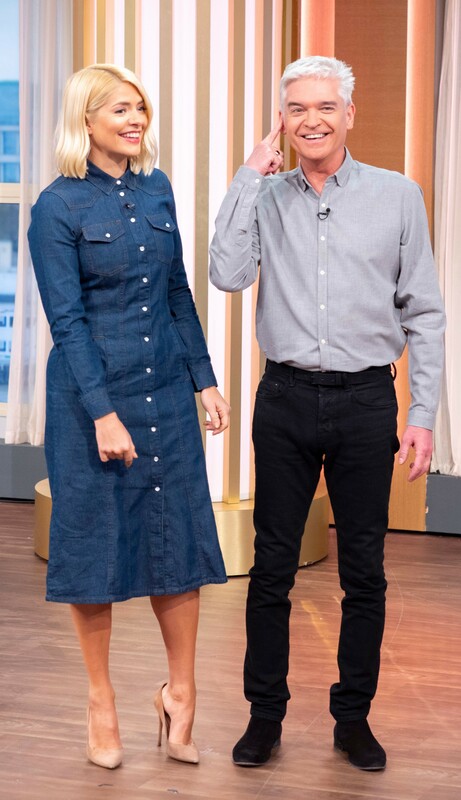 Holly Willoughby looks stunning in high street denim dress – and it’s on sale for just £46! Holly continues to dazzle viewers with her striking style, and luckily for us, she is a fan of the high street. On today’s This Morning, the ITV presenter stepped out in a gorgeous denim dress from Warehouse. 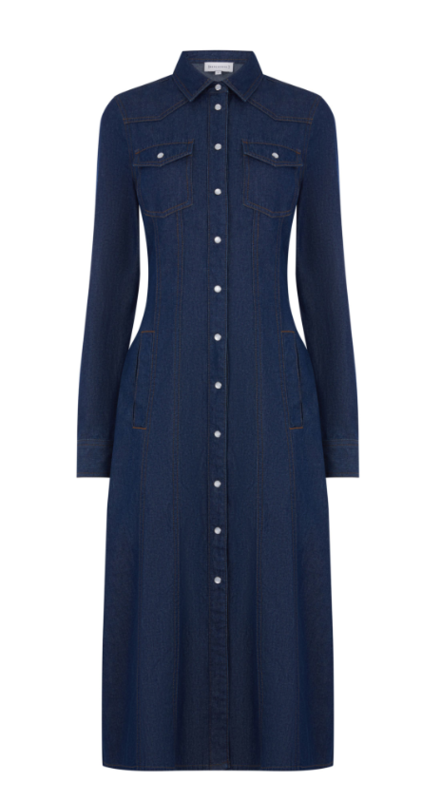 The western midi denim dress, which is described as ‘casual but chic’, is an affordable £46! Yet again, Holly demonstrates you can look as stylish as ever without breaking the bank. This denim number could be dressed up or down, making it a wardrobe essential. Warehouse recommends matching the dress with an animal print belt and a pair of white ankle boots. Holly on the other hand paired her dress with a pair of praline pink stiletto heels from Gianvito Rossi. Her dress may have been a high street bargain but the shoes are much more expensive, costing £510. The popular morning presenter shared a picture on social media and her fans were quick to share their love for her outfit. However busy she is, her style remains on top form. According to reviewers, the sizing of the western midi denim dress is slightly off with customers reporting the dress is too small. One person said, ‘I found this dress too small, and had to go up a size’. So for this dress, perhaps choosing a bigger size is the best way forward! If you fancy stealing Holly’s style, you can buy the dress from here. You better be quick though, the dress has proven so popular it is only available in sizes 6 and 8 online. This is not the first time we have seen the 37-year-old rocking the denim look. Holly Willoughby’s newest Marks and Spencer collection,‘Denim Edit’, will be available in stores later this month. You can read more here. Will you be adding some more denim to your wardrobe?